in 360i News, Creative & Tech, Influencer Marketing with tags autotrader, influencer marketing, laina morris Both comments and trackbacks are closed. YouTube star and beloved Internet meme Laina Morris (a.k.a. 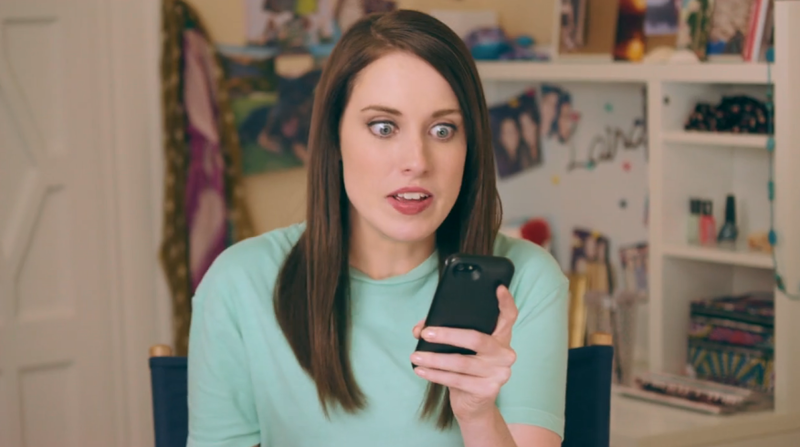 “The Overly Attached Girlfriend”) is starring in a new campaign for AutoTrader.com to help the brand reach a younger generation of car buyers. And she’s just as creepy – err, enthusiastic – as ever. Morris is the centerpiece for AutoTrader.com’s “#MyCarMyWay” digital spot, in which she is shown multitasking her car search with snooping around her boyfriend’s e-mail inbox. Viewers follow her as she searches for cars across multiple devices, saving her searches for future use and signing up for price alerts along the way – all to avoid being found out by her precious beau. At the end of the video, viewers are invited on a scavenger hunt, allowing them to explore and experience AutoTrader.com for themselves as they search for Laina’s vehicle and the chance to win one of their own. Throughout their car searches, they are greeted with campaign creative across the site. The campaign is also supported by display, video and organic and paid social efforts, as well as custom media partnerships targeting key audiences. The effort marks the first time AutoTrader.com has enlisted social influencers in its marketing, building on the growing trend of brands partnering with internet celebrities to appeal to a younger generation of buyers in authentic and relevant way. The goal of the campaign is to demonstrate how AutoTrader.com is able to guide consumers through the personal and important process of buying a car, allowing them to buy the perfect car on their own terms. AutoTrader.com is a 360i client. To learn more, visit http://www.AutoTrader.com/MyCarMyWay.